Uber has fallen foul of French law and is facing a fine of €100,000 after judges ruled that it was engaging in “deceptive business practices” by marketing UberPOP, as a ridesharing service. The Paris court found that, by charging a minimum price, the firm was not asking people to share costs, but rather was charging payment for the ride. 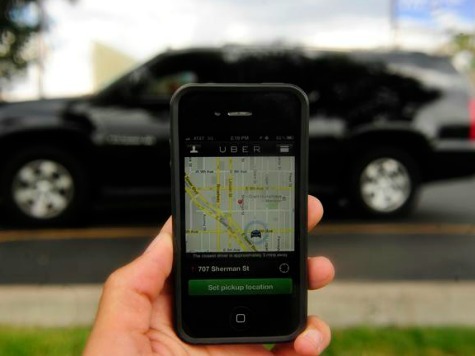 It also ordered Uber to state on its website that any driver taking part in the service could face criminal charges. Uber has vowed to appeal the ruling, The Local has reported. UberPOP (the equivalent of UberX in London and the US) was launched in February this year, and immediately caused outrage amidst Paris’s taxi drivers. The scheme signs up private car owners in Paris and her suburbs, and matches them to people wanting a ride. Drivers must be 21 or over, clear background checks and have a car that is five years old or less. In return, passengers pay 15cents a minute or 95 cents per kilometre. The base fare is €1, with a minimum charge of €4. “This decision does not call into question the service,” Uber France CEO Thibaud Simphal told Reuters. “They just have to set the conditions in which we can do it.” The company has released a statement indicating that it will continue to operate UberPOP whilst appealing parts of the ruling. The arrival of Uber has been met with anger by Paris’s cabbies, who have staged protests against the rise of private hire cabs in the city. They are particularly angered by the fact that they have had to shell out hundreds of thousands of euros to meet government requirements, whilst private hire operators enjoy light touch regulation. In one protest in January turned violent and a number of cars, including one from the Uber fleet, had their windows smashed and tyres slashed whilst passengers cowered inside. Alain Griset, president of the national union of taxi drivers told Le Parisien: “We will take them to the courts for undeclared labour and unfair competition. It’s not normal that some pay their taxes and social charges while others escape them.” The protests prompted the government to set flat rates to Paris’s two city airports, Orly and Charles de Gualle, in order that the cabbies could compete with the fixed rate services offered by private hire companies and airport shuttles.